Flooring might not be the most glamorous of items to select in your next home renovation project. However, it can represent a significant portion of your budget and have implications for cleaning and daily wear-and-tear. It also can make a dramatic impact on the overall feel of a finished remodel. Porcelain has been around for thousands of years and used in tile applications for hundreds of years. It’s durable and aesthetically appealing, relatively simple to install, and affordable. Durability: Made from clay fired at extreme temperatures, porcelain tile is an excellent choice for kitchens and baths, entryways and mudrooms. It’s mostly scratch- and stain-resistant and can withstand exposure to water. It’s also a very hard material, and while it isn’t impervious to chipping or cracking, individual tiles can be replaced. Low Maintenance: A regular cleaning of vinegar and water or a mild detergent will keep your floors looking new. There’s no need to strip or seal or do any upkeep or maintenance, aside from regular cleaning. 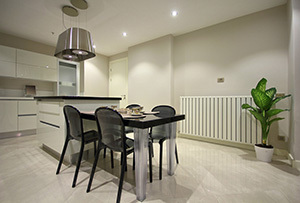 Long-Lasting Value: Porcelain tile floors are not only beautiful, they add value to your home. Unlike carpet or laminate that can show wear patterns, porcelain tile can withstand the test of time and will look great for years to come. Cumbersome Installation: The installation process for porcelain can be challenging and more costly than some alternatives. The sub-floor must be prepared, and cement board installed. In addition to cutting and laying the tile, grouting adds another step. The prep work and installation can add up to time and money. In addition, once porcelain tile is installed, it’s there to stay. Removing porcelain tile is a big job, so be sure you love the product you select. Cool to the Touch: Porcelain tile floors are cold. While you can warm them up with area rugs, those cover the beautiful tile you select. If your budget permits, radiant floor heating can be added. 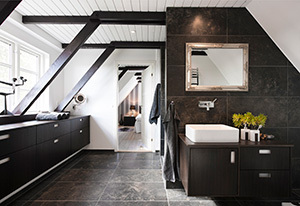 In most cases, homeowners only opt for this luxury in bathrooms, which means entryways and kitchens could be cold to stockinged and bare feet. Dirty Grout: While porcelain tile itself doesn’t require maintenance, the grout lines between the tiles can attract dirt. Grout is a porous surface, and that allows grime and stains to seep in. After several years, you may opt to have your grout lines cleaned and resealed to keep your floors looking fresh. 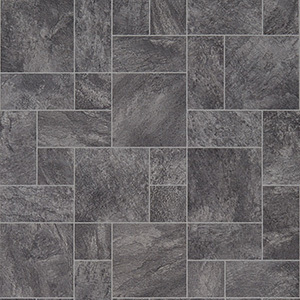 New on the market is luxury vinyl tile (LVT). With endless color options, a simple installation process and plenty of patterns, LVT is also a budget-friendly solution. Simple Installation: Unlike porcelain tile, LVT floors often can be installed over the existing vinyl, ceramic or hardwood floors without removing them. Those floors must be in good condition, intact and well-adhered to the sub-floor. Otherwise, they should be removed down to the sub-floor before installing the LVT. Once LVT installation begins, however, it can move quickly because there is no grout involved, as you would have with ceramic or porcelain tiles. Maintenance-Free Durability: Once it’s installed, regular cleanings should keep LVT flooring looking as good as the day it was laid. Because there are no grout lines, there is no need to reseal the floors or worry about staining. And LVT flooring can withstand water exposure typical in bathrooms. Luxury: It isn’t just in the name. With a variety of color palates and styles to choose from, LVT allows you to have the look you want in nearly any space. Since LVT is available in options that mimic hardwood, you can even bring the look of wood floors into your master bathroom. It not only looks good, but it feels good, too. LVT is as warm and inviting to the eyes as it is to the feet. Not Chemical-Free: Materials used in the manufacturing process of LVT can emit volatile organic compounds (VOCs), which are not only damaging to the environment but the air in your home. While VOCs cannot be avoided entirely, especially during home renovation projects, some products are more damaging than others. If you’re concerned about your indoor air quality, research the effects of VOCs and make the decision that’s best for you and your family. Laying the Groundwork: If you have a weak or uneven sub-floor, LVT flooring cannot be laid down without some prep work. In most cases, if you’re replacing existing flooring and your home was built in the last 20 years, you likely won’t experience a problem. However, if you have an older home, or you’ve had some water damage to the sub-floor, your contractor will need to prepare the floors for the installation. New Kid on the Block: LVT hasn’t been around as long as porcelain tile, and it doesn’t have the perceived value that porcelain does. If you’re looking to add value to your home, LVT might not be the right product. Both LVT and porcelain tile are durable, and both have aesthetic appeal. Porcelain might be best in some applications, and LVT the right choice in others. When it comes to cost, installation and maintenance, working with an experienced contractor to help select the right flooring choice for your home renovation project is a must.